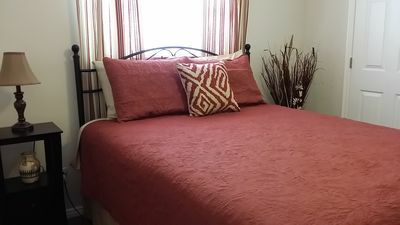 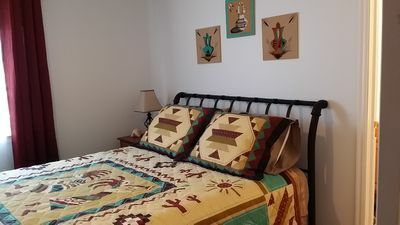 Our B&B has three available bedrooms for booking, which includes 1 guest bathroom. 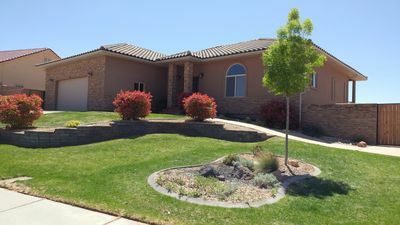 This beautiful Spanish style home has a large spacious gated backyard full of greenery and areas to relax. 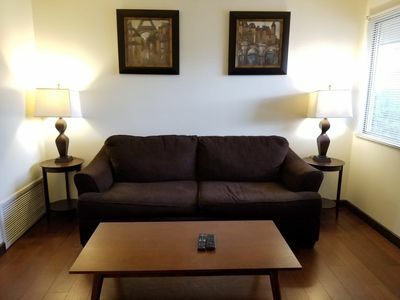 All booking includes access to spacious and quite backyard, large kitchen, and spacious living room. 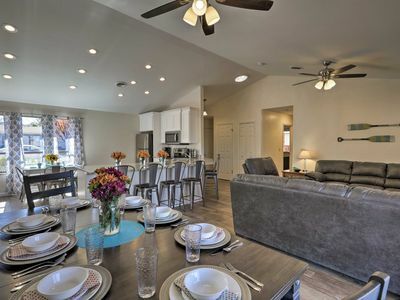 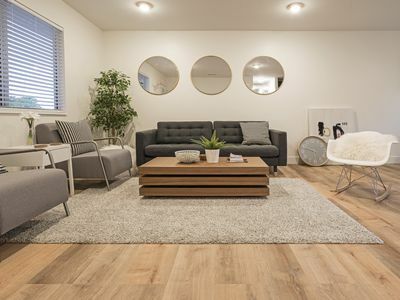 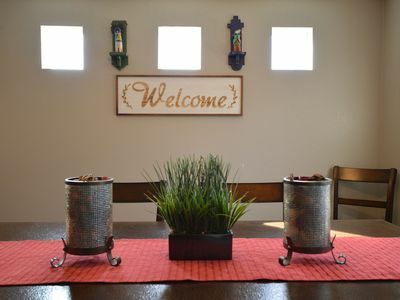 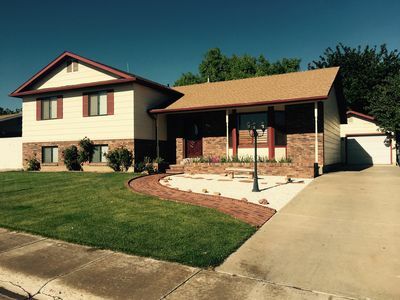 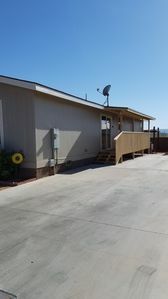 Home is located within 5 minutes of airport and downtown Page. 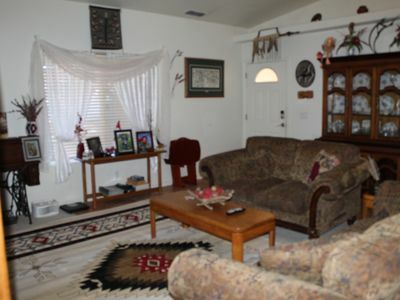 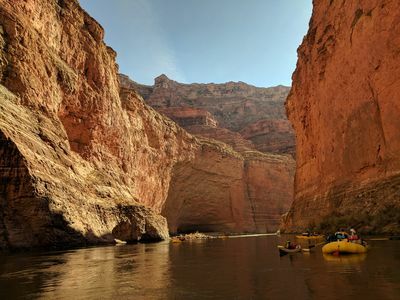 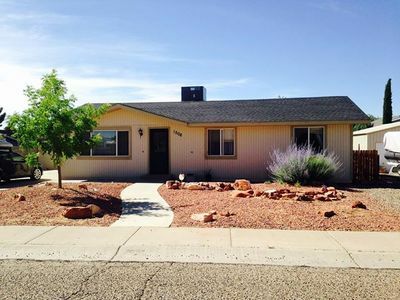 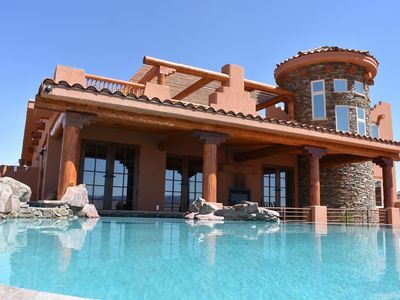 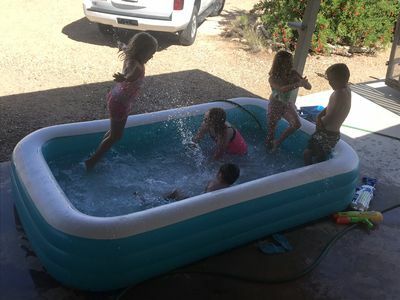 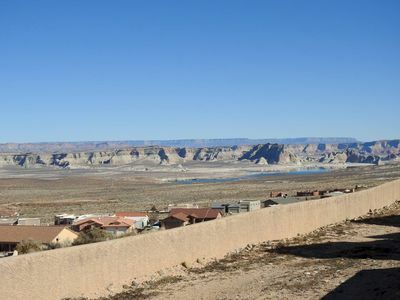 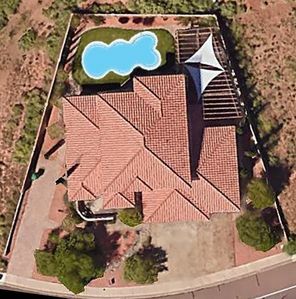 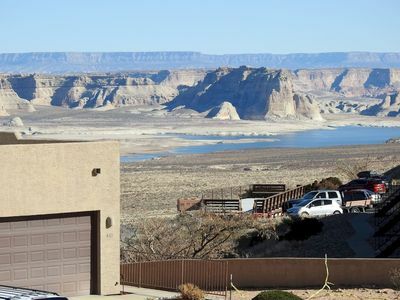 Location also includes access to beautiful scenic lookout points of Lake Powell. 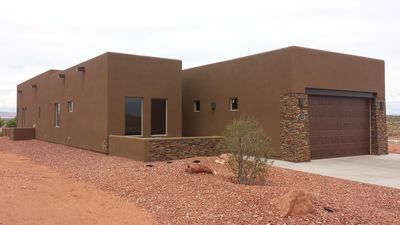 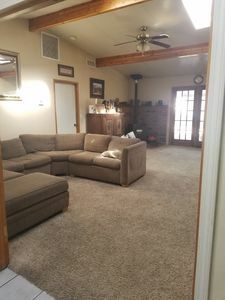 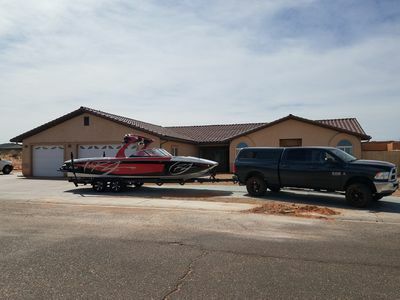 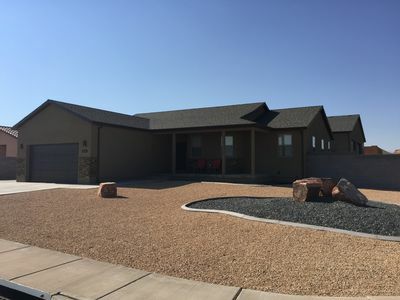 Lake Powell's Newest Built Vacation Home - 50 Ft Connected Garage & Lake View!